AMD and Intel have been engaged in an ISA war, where hardware improvements are designed to make it easier and faster for code to run on each company's CPUs. With reference to the above-mentioned instructions, AMD mooted a CVT16 instruction set some time ago, but now that Intel has implemented a practically identical method in Ivy Bridge, VCVTPH2PS and VCVTPS2PH are set to become standard. AMD had the initial thought, it seems, but it's Intel's influence that will make it a reality for software developers. On top of this, the REP MOVSB and REP STOSB instructions have been improved to offer more consistent performance across string lengths, and four new ring-3 instructions have been incorporated to provide fast access to the FS and GS base registers. 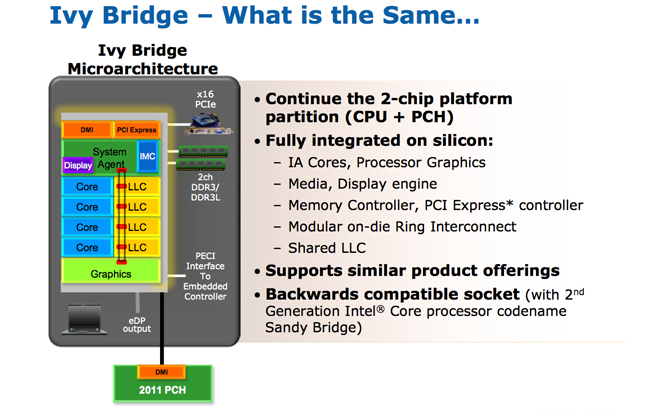 In order to improve instructions per clock (IPC), Ivy Bridge removes MOV instructions from the execution pipeline (they now take place at the register renaming stage), a next-page prefetcher has been introduced to enable prefetching across a 4K page boundary and a pipelined divider is in place to improve throughput of divide-related computations. 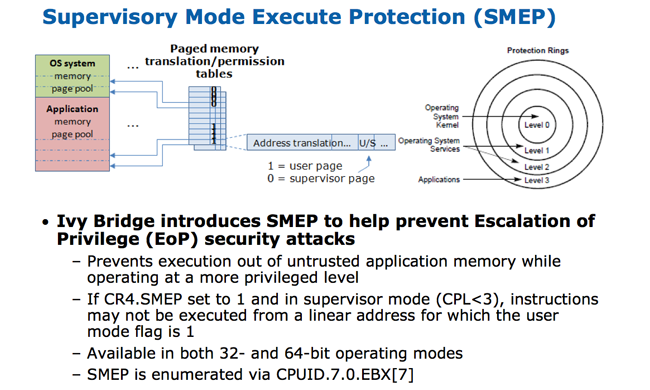 Continuing to run through the underlying improvements, the Ivy Bridge architecture also introduces two new security enhancements. 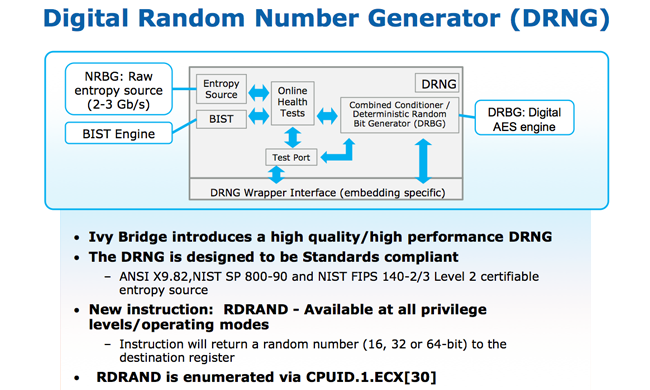 The first, dubbed the Digital Random Number Generator (DRNG, pictured above), is a high-speed and standards-compliant number generator used to generate cryptographic keys.